Reclaim Your Energy, Reclaim Your Life! Helps you fall asleep more easily and maintain a healthy sleep cycle. Improves the quality of restful sleep, so you wake up energized. Is an herbal, non-habit forming sleep aid. Vitality is as Easy as 1,2,3! Enjoy life with New Vitality! 3. Manage Stress - Fatigued to Fantastic! - Adrenal Stress-End energizing stress formula. 2. 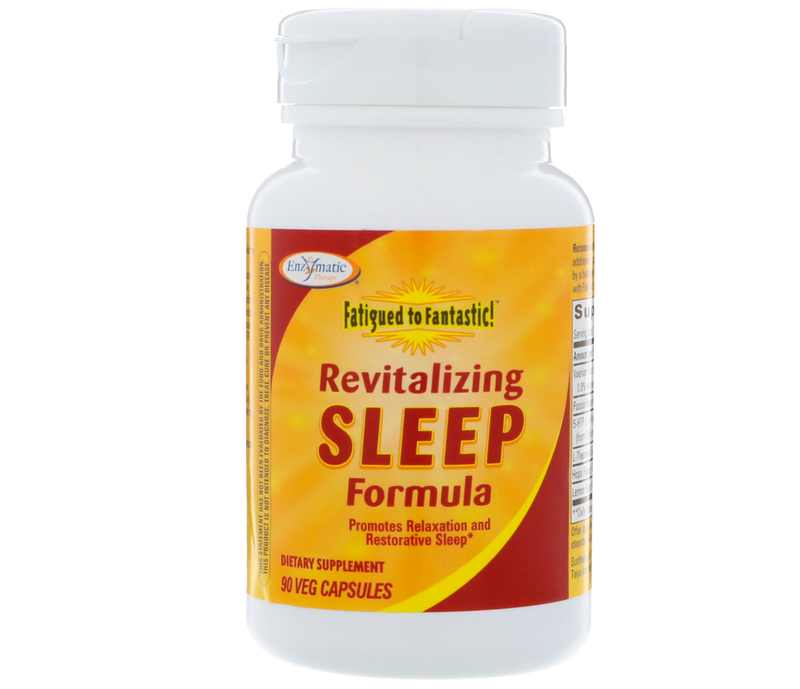 Improve Quality of Restful Sleep - Fatigued to Fantastic! 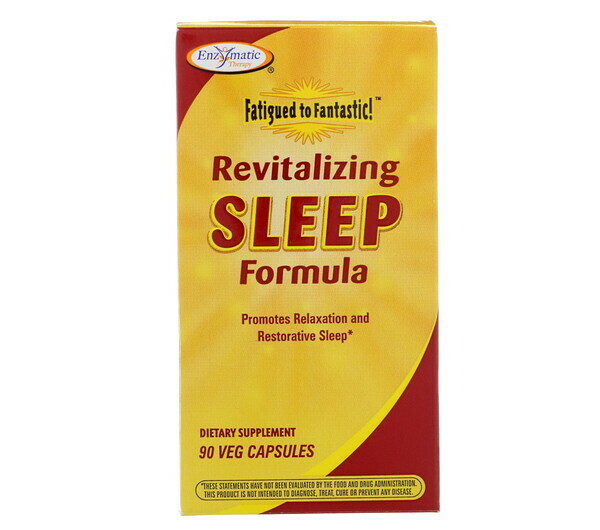 - Revitalizing Sleep Formula restful sleep blend. 1. Build an Exceptional Nutritional Foundation - Fatigued to Fantastic! - Energy Revitalization System supplement. Take 1 capsule 30-60 minutes before bedtime. If additional support is desired, take up to 4 capsules or as recommended by a healthcare professional. For optimum results, use in combination with Fatigued to Fantastic! Energy Revitalization System supplement. Plant-derived capsule (hypromellose), magnesium stearate, silicon dioxide. Gluten-free. No sugar, salt, yeast, wheat, soy, dairy products, artificial colors, flavors or preservatives. This product should not be consumed by children under the age of 12 years or by pregnant or nursing women. 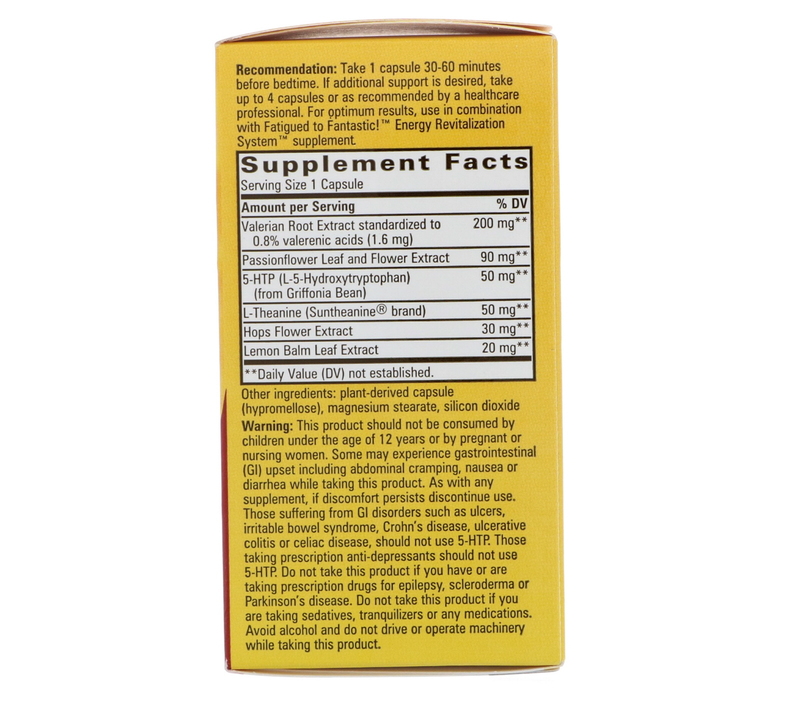 Some may experience gastrointestinal (GI) upset including abdominal cramping, nausea or diarrhea while taking this product. As with any supplement, if discomfort persists discontinue use. Those suffering from GI disorders such as ulcers, irritable bowel syndrome, Crohn's disease, ulcerative colitis or celiac disease, should not use 5-HTP. Those taking prescription anti-depressants should not use 5-HTP. Do not take this product if you are taking prescription drugs for epilepsy, scleroderma or Parkinson's disease. Do not take this product if you are taking sedatives, tranquilizers or any medications. Avoid alcohol and do not drive or operate machinery while taking this product.